Xiaomi is teasing the Launch of Redmi Note 7 in India via Twitter. 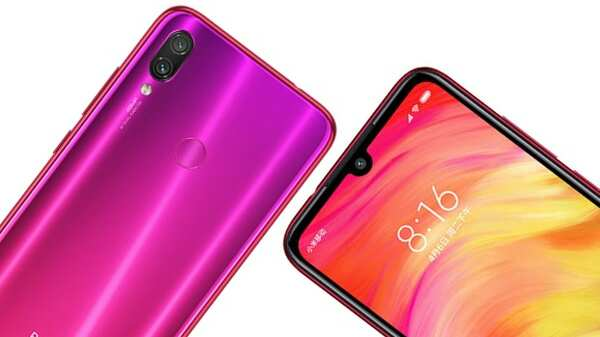 Redmi Note 7 can be Game Changer is Budget Smartphone Segment, Again! REDMI NOTE 7: CHARM RETURNS? It’s been few months, 22 November 2018 to be Precise when Xiaomi Launched the Successor of Highly Successful Redmi Note 5 Pro — the Redmi Note 6 Pro which was quite a letdown. According to the 91mobiles, it had procured a launch event invite that allegedly claims that Xiaomi is all set to launch Redmi Note 7 & Note 7 Pro in India on February (12 February as per report suggests). Redmi Note 7 Coming to India, Soon! Xiaomi India and Redmi India are already promoting the 48MP camera of redmi Note 7 on their Social Media Accounts. The Redmi Note 7 already went on sale in China and performing quite decently by selling out 100000 stocks of Redmi Note 7 in Minutes. In their home soil Chine, Redmi Note 7 starts at 999 Yuan in China (approx. Rs 10,000) for the 3GB+32GB variant. The 4GB+64GB variant costs 1199 Yuan (approx Rs 12,500), and the 6GB+64GB option retails for 1399 Yuan, which is approximately Rs 14,500. All the Redmi Note series launched in India had identical pricing if compared to their predecessors, the Redmi Note 3 was launched in India at a starting price of Rs. 9,999 then came the Redmi Note 4, which was also launched at the price of Rs. 9,999. Then the successor Redmi Note 5 was launched in India at the cost of again Rs. 9999. As per the pricing history, the Redmi Note 7 should carry a starting price of around Rs. 9,999 for the Indian Market.